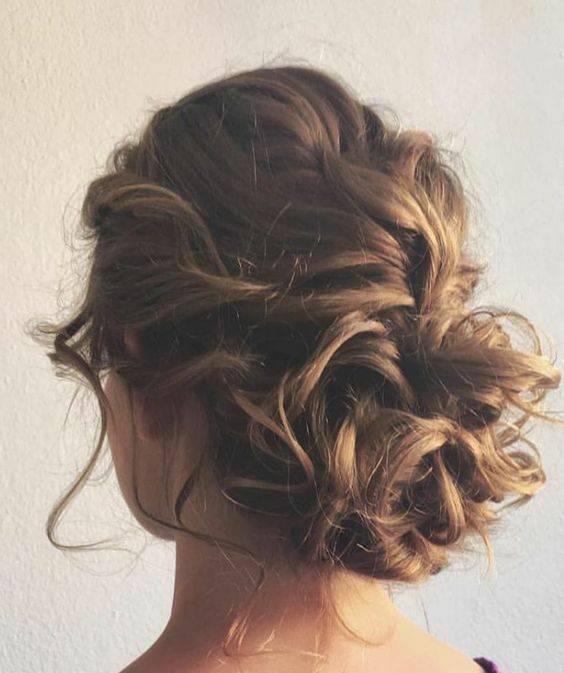 If you’re looking for edgy prom updos or trendy new wedding updos, then feast your eyes on today’s gallery of the trendiest updos for medium length hair you’ve ever seen! Packed with the latest hair color ideas, these trendy updos are going to be the most popular hairstyles this season! 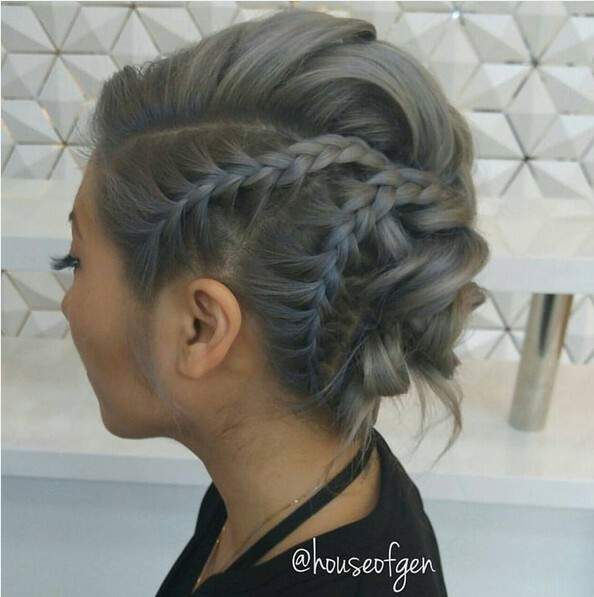 Escape from traditional updos for medium length hair with a grey-blue updo adorned by different braiding styles and a messy knot just above the nape! This exciting new updo has a side parting and smooth height on top, making it perfectly suited to a round or oval face shape. Love the pastel blue balayage! 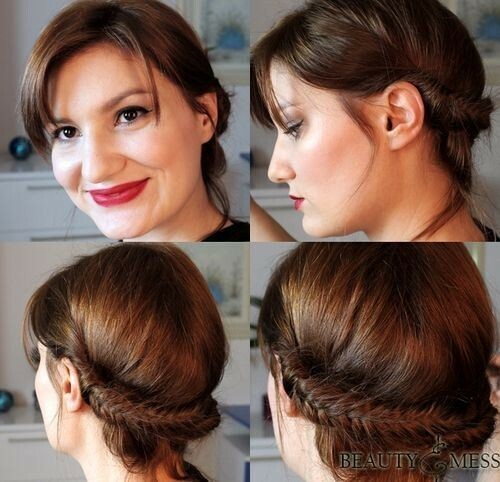 Here’s the furthest away from a traditional updo for medium length hair as you can get! 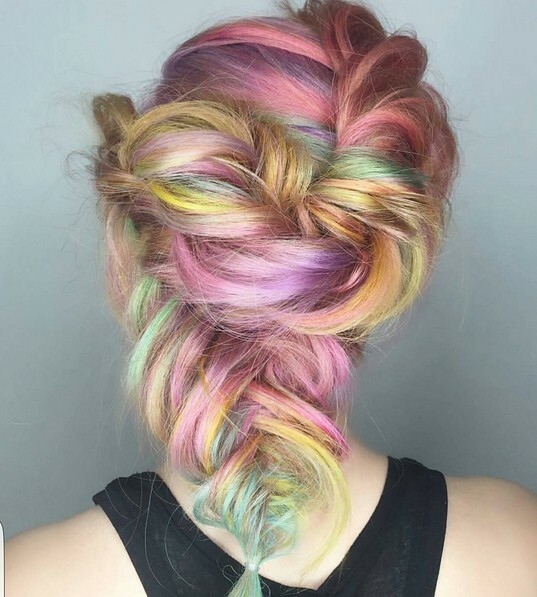 It’s an exhuberant multi-colored pastel hair color idea from the latest looks for summer 2018! Around the head, the hair is cleverly woven in a beautiful swirl of pretty pastels and there’s a super-cute loose fish-tail braid at the back! This cute cone-shaped bun is far more fashionable than a classic bun-on-top for summer 2018. The fantastic blend of wheat-blonde, copper and mid-brown shades make this one of the trendiest updos for medium length hair. 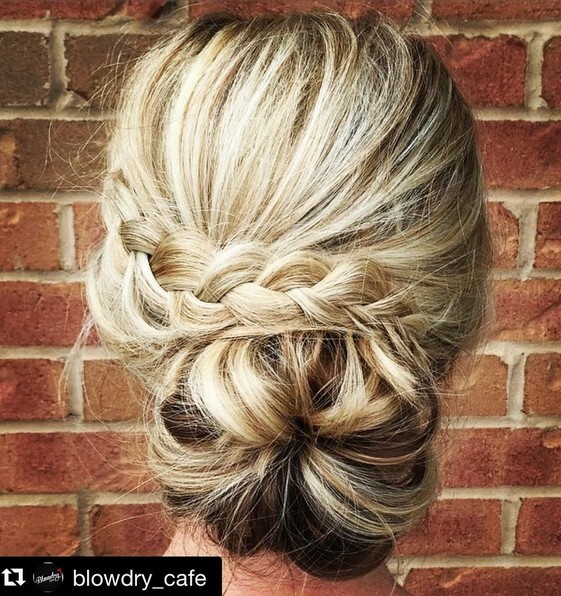 It’s versatile, too, as messy beautifully balayaged brown/blonde updos can be worn for special occasions or as a cool daily hairstyle! 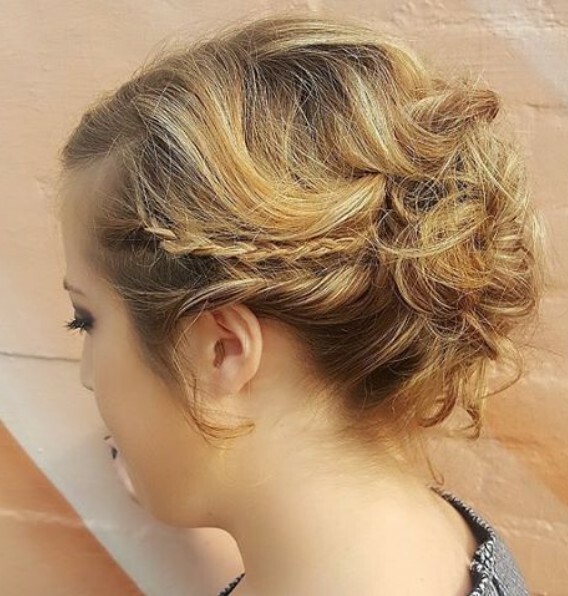 This contemporary updo is another new technique we haven’t seen ever before. 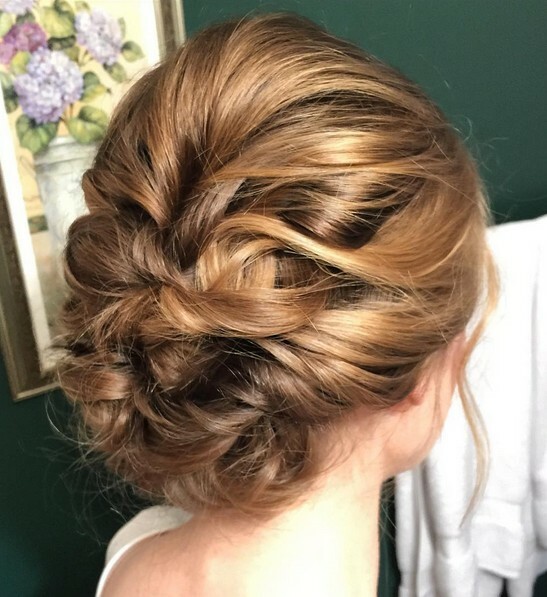 Hair is looped and twisted and pinned to create a lovely series of knots and swirly texture decorating the back of the head. The mixture of three glossy golden shades creates 3-D color depth and loose strands keep the look semi-formal and relaxed. 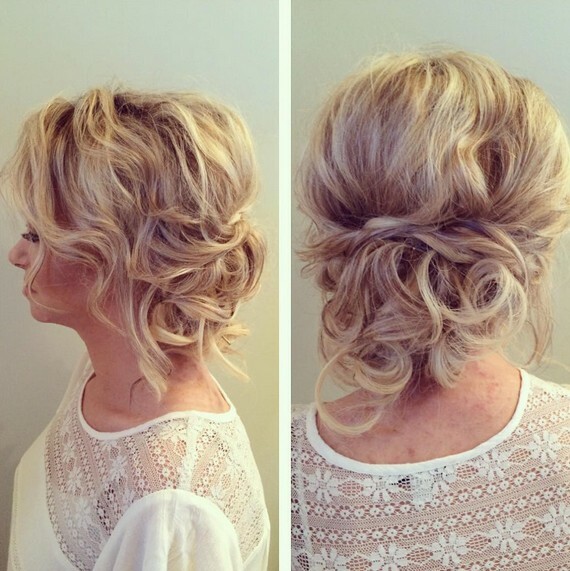 Here’s another contender for trendiest updo for medium length hair! On hair thickened with extensions, it’s an extravagant hair design with a cornucopia (horn of plenty) shape on one side and a plumped-up modern braid on the other! The asymmetry is perfectly balanced and the hair color idea of harmonized light to dark blonde balayage is lovely! What could be trendier on a contemporary blonde updo than soft, purple roots? This lovely half-up popular hairstyles idea for medium length hair shows how easy it is to transform wavy hair into a casually tousled, low chignon. Some of the most popular hairstyles for summer 2017 are based on versatile medium bob cuts! I love this medium golden-blonde hair color idea with darker roots and blonde balayage re-creating a truly sun-kissed look. 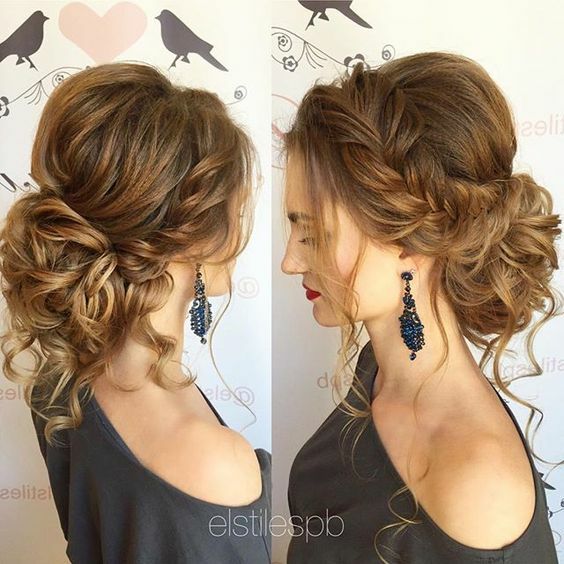 This is a look that you can wear for almost any occasion, with a casually pinned curly chignon above the nape and adorable waves and braiding at the sides. With a side parting, this is suitable for round faces. Instead of the harsh contrast of platinum blonde and black roots, this warmer hair color idea of chocolate-brown with wheat-blonde is currently one of the most popular hairstyles’ balayage for medium length hair. Along with the trendy hair color idea, this updo has the latest flat-braid across the back, with a color-contrast doughnut bun beneath! Like many of the trendiest updos 2017, this fabulously patterned updo blends several new styling and hair color trends. There’s a pretty hint of plum-colored roots around the crown and brown/white braiding produces lots of fresh and fashionable inspiration for popular hairstyles in 2017! The V-shaped back is new, too! The trendiest updos for medium length hair can also be extremely simple, but most have a special contemporary twist. 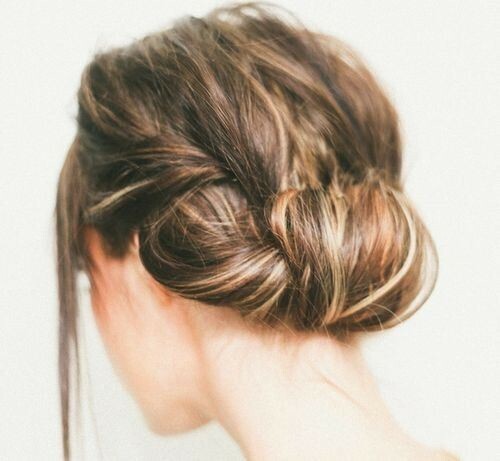 For example, this messy low-chignon has a very modern blend of three hair colors, blonde, brown and a touch of copper to add warmth. 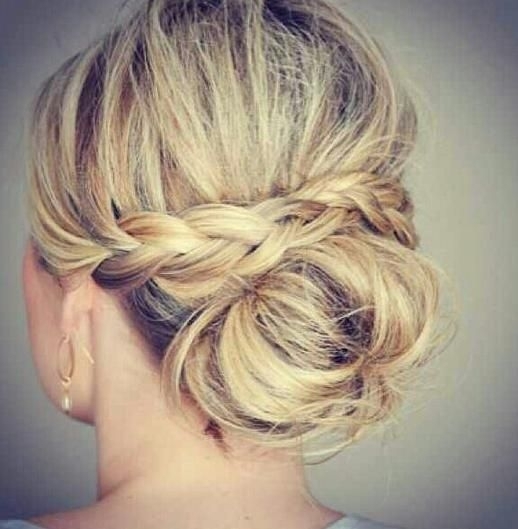 Messy updo’s are some of the most popular hairstyles for summer wear. 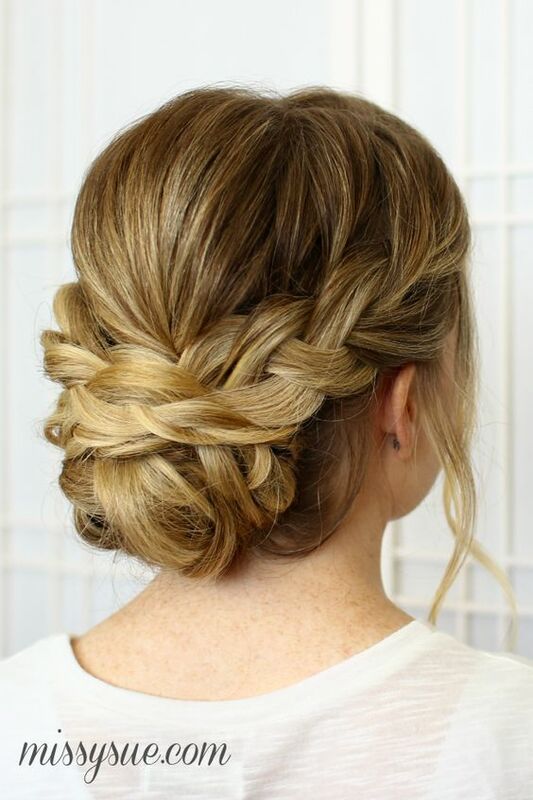 Messy updos with fish-tail braids around the back are perfect for keeping your neck cool in hot weather. This brunette updo with bangs is a good look for round faces, as the bangs cut the roundness and break the symmetry. 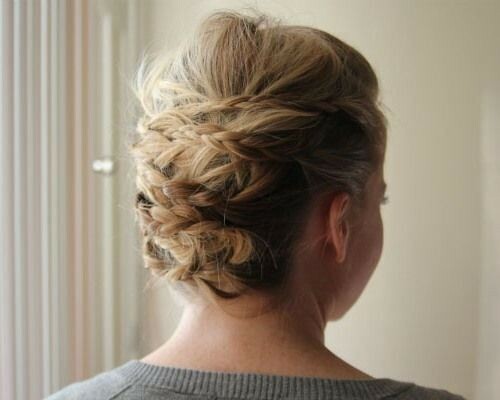 Long loose strands soften the profile and back adding a touch of casual style to a smooth, braided updo. 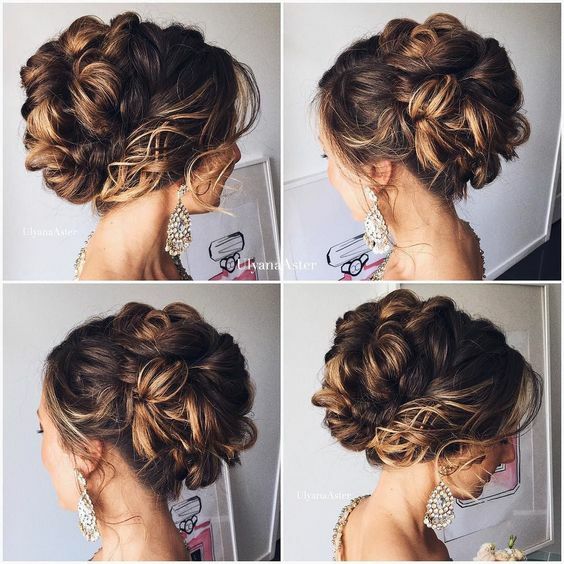 This lovely sophisticated updo that can be dressed up with impressive earrings for a formal occasion or worn at work to keep you feeling cool and looking professional! 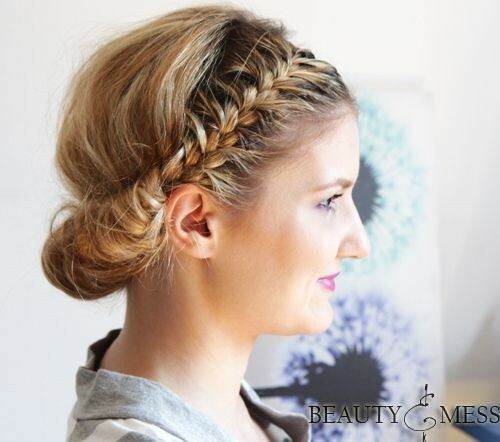 The classic French roll has been given a new look as a horizontal twisted roll. The ultra-chic detail is the fabulous orange balayage, highlighting the movement in this trendy updos’ idea. 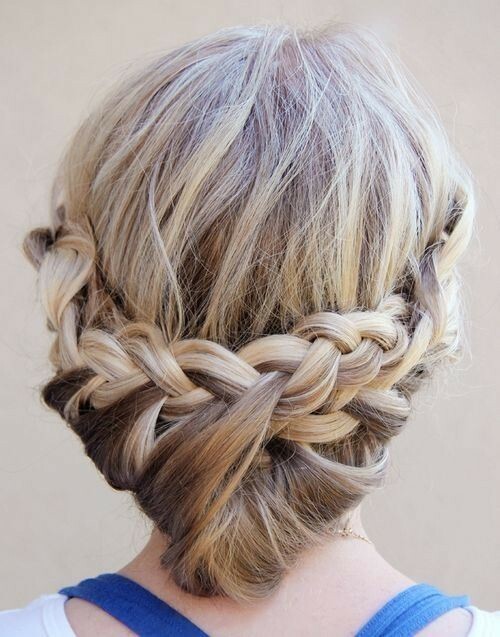 This super-cute braided updo is another style that suits young girls and teens, as well as trendy women. It’s a head braid taken along the back hairline and then made into a pretty rosette just behind one ear. 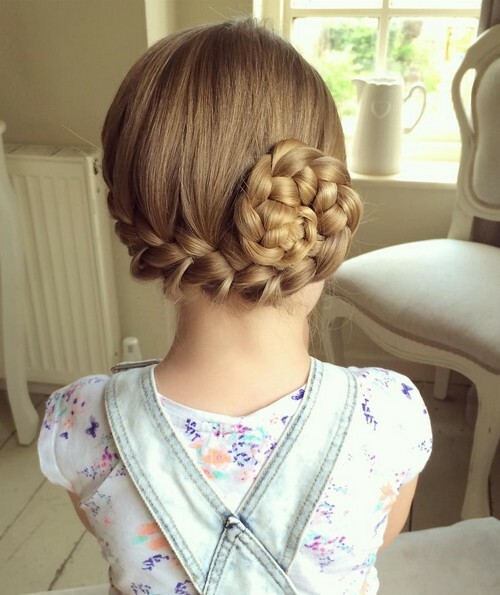 This Dutch- look is natural and adorably neat, making it great for proms, flower-girls and parties or a daily hairstyle to keep you cool! Here’s another natural-looking braided updo enjoying its status as one of the trendiest updos for summer 2017. Hair is taken off the face to keep the wearer cool, but plaited-in to create an attractive pattern from blonde balayage on darker hair. 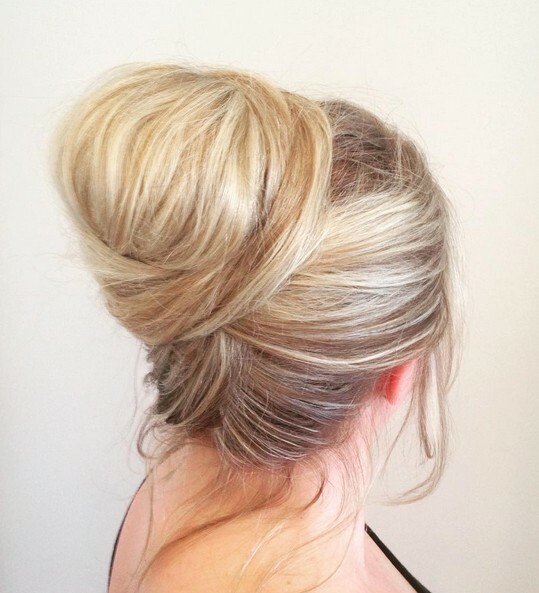 The bun at the crown is a light and fluffy knot completing a pretty summer updo for girls of all ages! Some fancy updo’s labelled, ‘easy to do at home’ are not at all easy to do and cause hours of fiddling about and frustration! 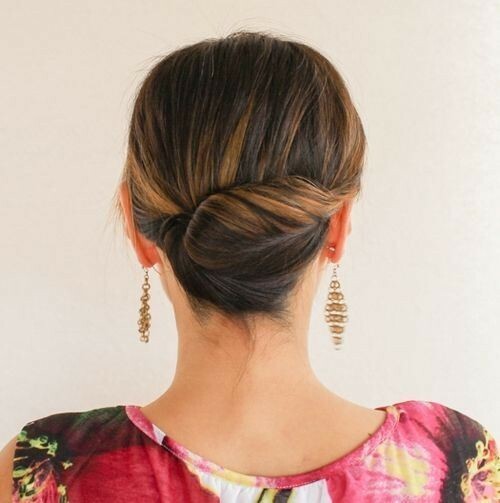 That’s why I love this DIY updo for medium length hair, which is nothing more than braids of varying widths pinned horizontally across the back. Three started on the right side and three started on the left! 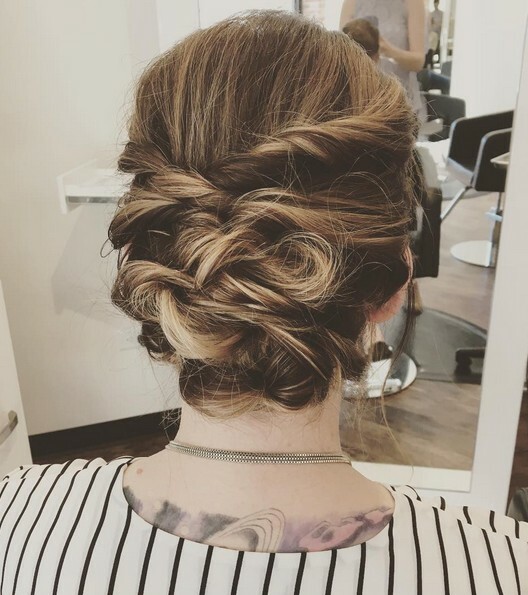 Here’s a fashionable updo in the form of an upside-down french braid ending with a pretty, loosely tied bun at the crown. 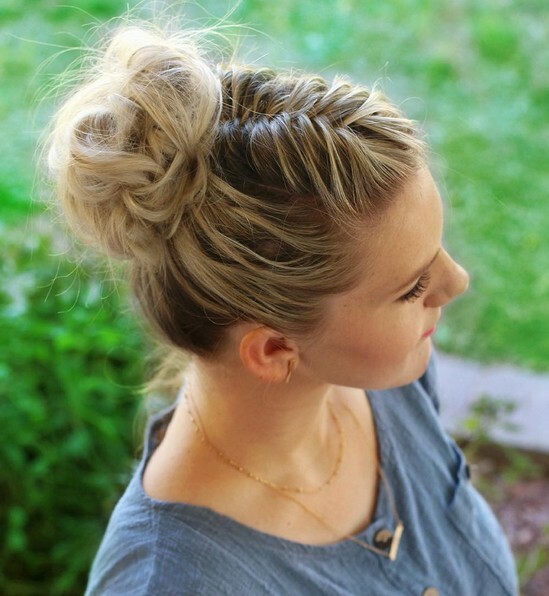 Like many popular hairstyles, this is a trendy look that’s easy to do yourself at home. It will keep you cool and fresh, whilst showing-off your beautiful auburn hair in one of the trendiest updos for medium hair. Smoothed back from the forehead, with flat-braid details at the sides, this ultra-trendy updos’ idea is a real show-stopper! 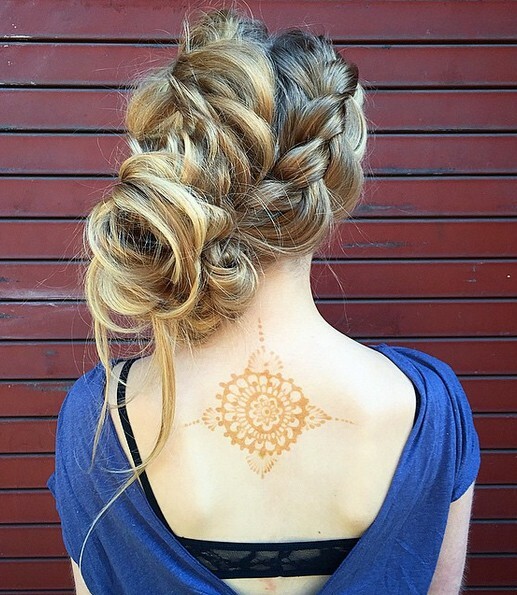 The cascading flounce of blonde-swirls adorning the back is a great example of how asymmetry and messy chaos, are actually quite beautiful and artistic! With several blended blonde shades, this is one of the ‘designer’ updos for 2017! 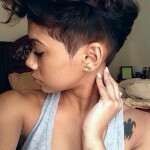 Medium length hair can be worn in so many different trendy hairstyles for summer. This vintage rolled up and pinned updo, with a cute reverse head braid around the front, is perfect for hot days when you want your neck and forehead bare and cool. 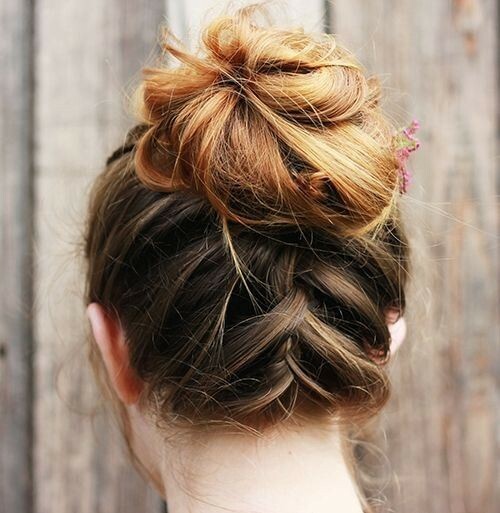 It’s a versatile updo suitable for formal, semi-formal and downright informal, daily wear! 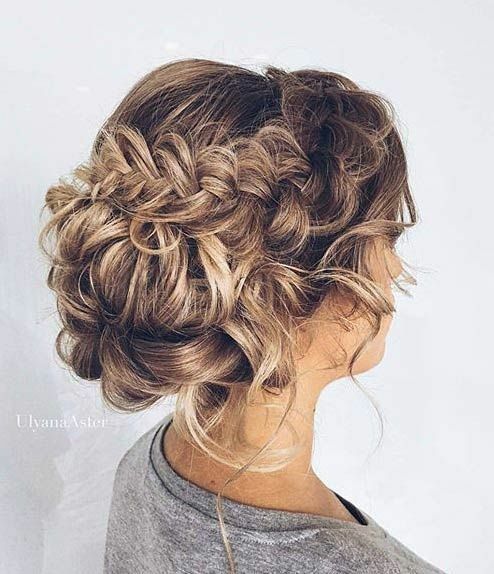 Yes, creative chaos is definitely ‘in’ for the trendiest updos for medium length hair and I must say I’ve rarely seen such inspiring and artistic updos as those on offer for this season! 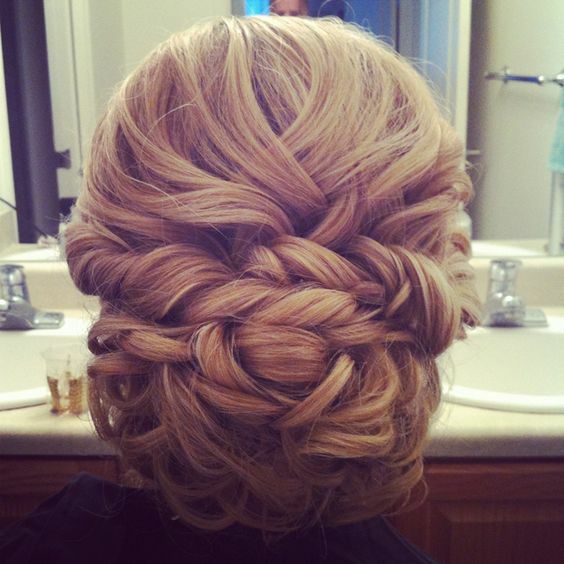 This is one of the best wedding updo! 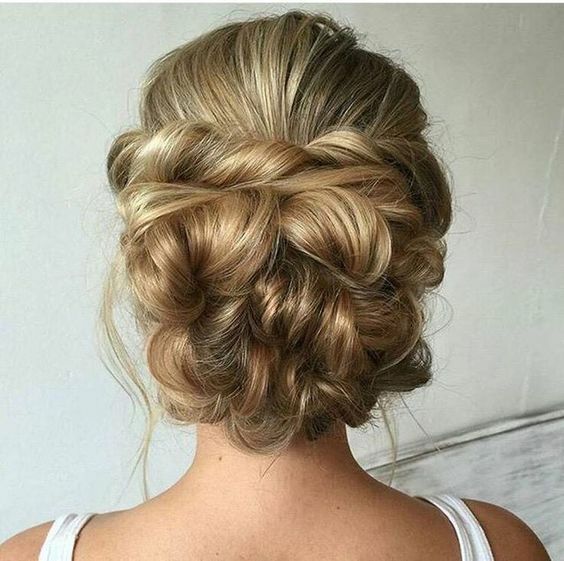 This is really a beautiful updo which is perfect for wedding! 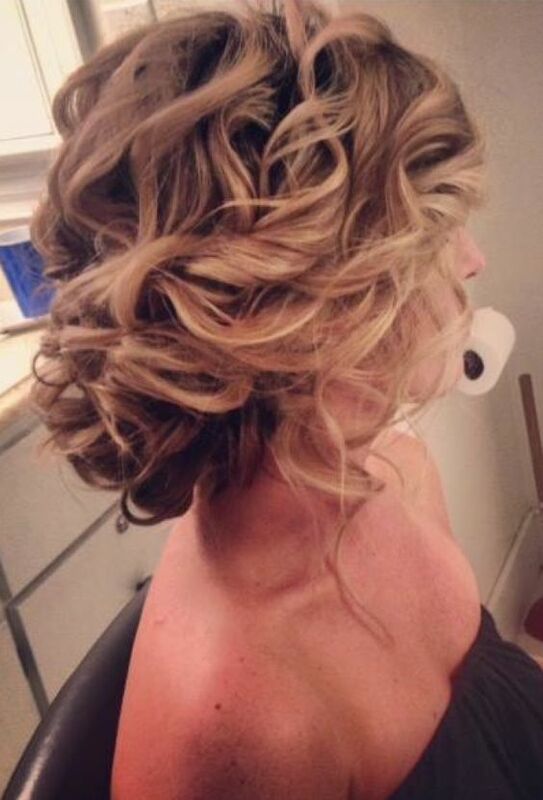 And here are more romantic wedding updos for medium hair.